Online Advertising is continually bridging the gap between businesses and their customers. If you are a budding business and want to know the various aspects of online advertising for paid inclusion, here is a comprehensive guide at your disposal. What are Media Cost Models? 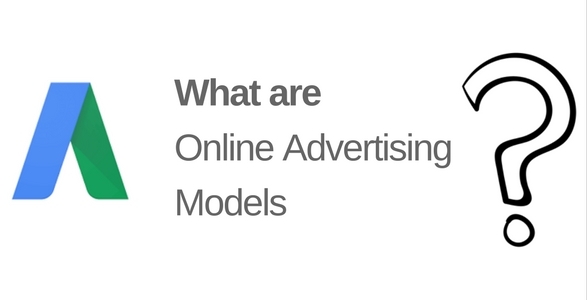 Online Advertising Models are essentially payment calculation methods used by the advertisers and publishers. The various media cost models cater to different needs of the advertiser, i.e., the need to pay for website visits, the need to pay for converted leads or anything in between the two like sign-ups on the website, click on website, reach, etc. Choose wisely as your pricing option has a direct impact on your budgeting strategy and thereby on your complete marketing model. Listed below are the pricing models and an exhaustive information about each to help you decide how to apply bid strategy for your online advertising needs. This advertising model is used on websites, search engines, and advertising networks where there is no charge levied for listing an ad, but for the number of times the advertisement gets clicked. This is useful for publishers in that they can set realistic expectations with their advertisers according to the ratio of the clicks on an advertisement to the impressions made by the advertisement. How to calculate Cost Per Click? In other words, this charge is the cost obtained by diving the total advertising cost by the number of times an advertisement was clicked. This is true of the scenario when the search engines, for an instance, offer flat rates to advertisers. Search engines also at times let various advertisers indulge in a bidding process for paid inclusion. In a private auction, the various advertising parties bid for a space on the search engine’s page or website. The eCPC pricing model is a boon that comes along with the Google AdWords advertising. The eCPC bid strategy in AdWords enhances the keywords bids in selective auctions where Google AdWords senses that a conversion is likely. Google ups the ante to only 30% more than your maximum CPC bid to avoid overspending and only does it when more conversions are possible with a lower cost per conversion. It is a bidding strategy centered around conversion optimization. eCPC uses the historical conversion data it has for all Ad auctions and will bid higher or lower in all subsequent auctions to get a higher conversion rate. It is best advised to turn on this option in Google AdWords after a standard amount of conversions have taken place so that there is ample of data available to analyze and base decisions upon. It is a pricing model where the publisher charges the advertiser a flat rate for showing his banner to one thousand viewers, i.e., for a thousand impressions. This is ideal for advertisers looking to create a brand awareness rather than opting for higher conversions. CPM revenue is predictable as the publishers have an idea of the average number of viewers on their page in a month. Viewability of an Ad is a measure of how frequently an advertisement is seen by a viewer and not just a count of how many times the Ad was displayed. An Ad is taken as a viewable when 50 percent or more of it shows on the screen for one or more than one second in the case of display advertisements, and for two seconds or longer in case of video Ads. To maximise your advertisement’s views rather than clicks, use vCPM. In this bidding strategy, all the hassle of the advertisement lies on the shoulders of the publisher. The advertiser only pays when a user completes a transaction like a purchase, a sign-up, filling out a form, or overall drive an action. CPA is considered the ideal case for banner advertisements as the advertiser only pays when an action is undertaken basis the ad displayed. Google has leveraged this model into their Ad Sense offering and eBay has the similar pricing on Ad Context. CPA conclusively more effectively offers value to the advertiser, as is evident. What is Cost Per View (CPV)? This is a method for charging video advertisements based on the interaction of the viewer with the ad. Deliberate attention from the viewer is a must in this charging model. The advertiser is charged only when the video advertisement is viewed for at least 30 seconds or when an action is taken on the Ad like when an embedded link is clicked. You may also like: How Important Are Paid Campaigns For Your Business? This is an efficient marketing prospect for the video advertisers as they are not charged when a viewer quickly turn away from their ad out of disinterest. What is Return on Ad Investment or ROAS? CPM is usually used to calculate the Return on Ad Investment from an advertising across media and platforms. ROAS is essentially dollars earned per dollars spent. It is calculated by dividing the revenue derived from Ad source by the cost of the Ad source. If this results in a value less than one, that implies lower revenue generation than what was spent on advertising. What is Conversion Rate | How to calculate Conversion Rate? The Conversion rate is essentially the ratio of bidding in an auction for the placement of an advertisement to the number of times the advertisement was clicked. A higher rate implies that correct bids were placed in correct places where a conversion was most likely to happen. So choose the best strategy according to your online marketing needs and boost your business. Understand the trade-offs between the various pricing models and pick the one most suitable for your business according to your campaign goals and resource availability. All the best for your next campaign!! Its Samaagam Time !! Get Ready to Enjoy to the Fullest..! !